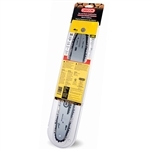 Shopping around for Efco chainsaw parts or upkeep supplies? We have everything you need to make sure your Efco / Oleo Mac chainsaw withstands the natural wear and tear of long-term use and remains powerful, effective and energy-efficient for the duration of its lifespan – which you can lengthen! From the popular Echo 152 parts to high-grade 2-cycle or synthetic oil, these supplies are designed to keep small engines happy. Browse our extensive line of Efco / Oleo Mac-compatible supplies: carburator rebuild kits, starter rope, engine compression testers, spark plugs and wire, Efco chainsaw sharpener parts, and much more. Own your chainsaw the smart way: replace parts before major repairs are needed and take proactive steps like feeding your chainsaw the best oil in the industry. Order today for unbeatable prices!